Summer might be over but that doesn’t mean you have to store your rosé. This cocktail would make good use of those bottles though if you’re trying to get rid of them before temps start to cool. The key is getting the syrup right… I loved the hint of lavender in the mixture below, but you can always add more or less to taste! 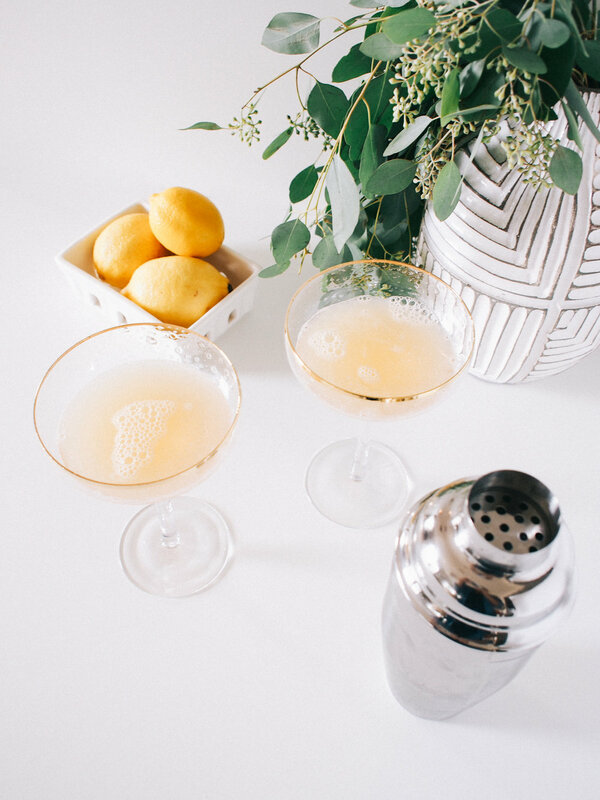 One of my favorite ways to make an impact at a party is coming up with a simple champagne cocktail, and having this one on deck with get you ready for all of the reasons to entertain that are coming up! Make the syrup ahead of time so you don’t have to put too much effort into your bar setup the day of. 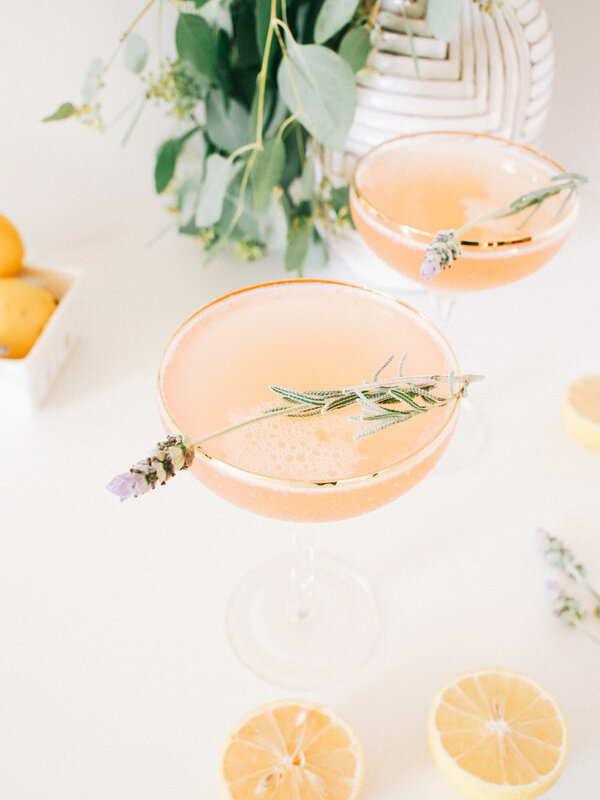 This cocktail is cool, refreshing and super interesting with touch of lavender. 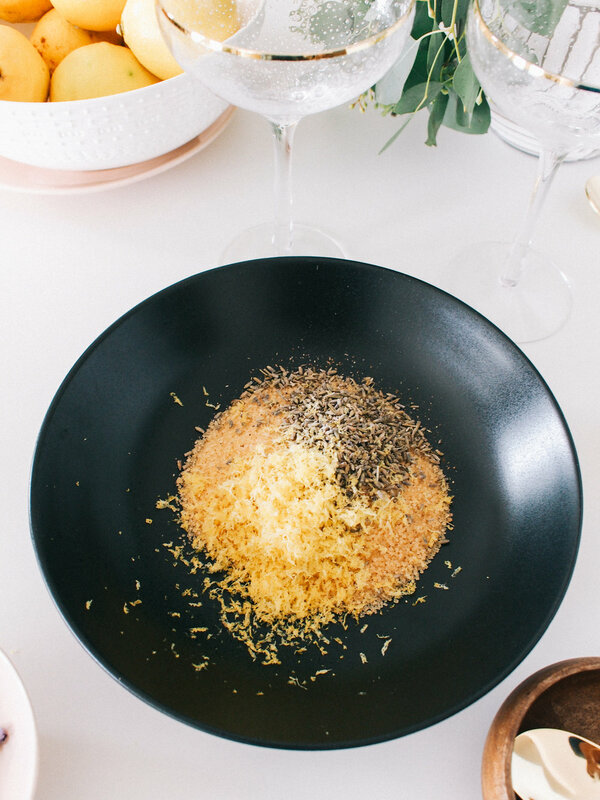 I can’t wait to mix up a batch for our next girls night… but my favorite part? Getting to serve it in a coupe (I love these glasses so much) and being able to add some fun garnish. I think next time I’ll plan ahead and order a few edible flowers to top them, in addition to the lavender. What do you guys think of this lemon + lav combo? Here are some great coupes you can get the look with!